Another article hit the road a few days back. 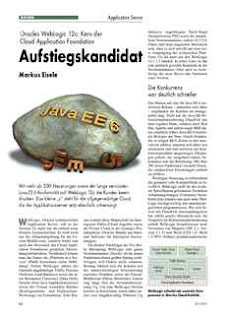 This time a short review in German iX Magazine 5/2012 about Oracles WebLogic 12c. With more than 200 new features as well as the long missing Java EE 6 compliance WebLogic 12c is designed to impress the customers. 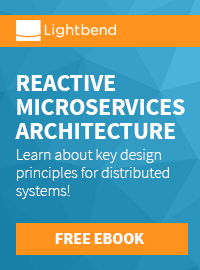 The small "c" stands for the ever-present cloud which also is powered by the application server now. This is a German article and you can either grab the latest issue online or buy it at your favorite kiosk. Find some other articles of mine by search this blog for posts labeled "article" and you get some results.